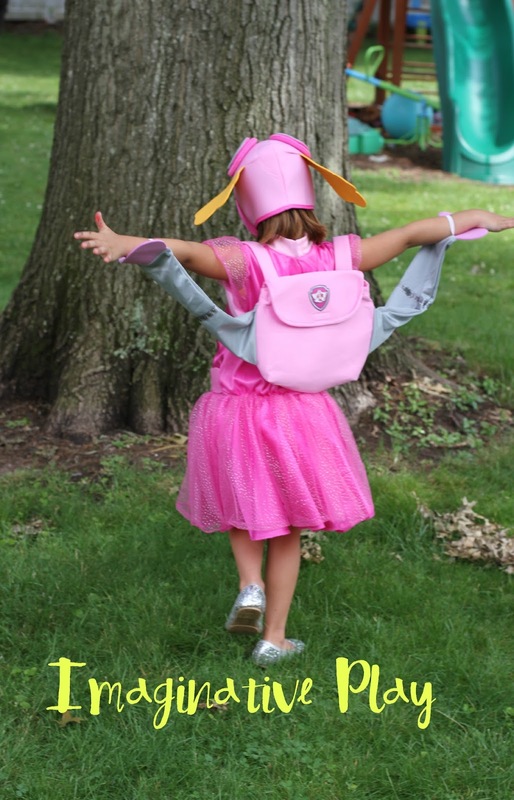 Summer has just started & we are nowhere close to thinking about Halloween, but today we are talking all about costumes. In our households, costumes are not just for that special holiday in October. 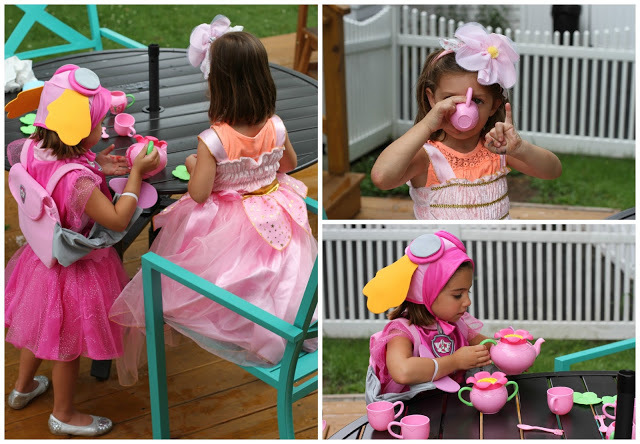 Our kids are dressed in costumes all year long, any day of the year. They wear them in the backyard for hours of summer play. They wear them in the playroom, to dinner, & sometimes even to bed. But we don’t just keep our costumes on at home, our kids are also known to be dressed up for adventures around town. 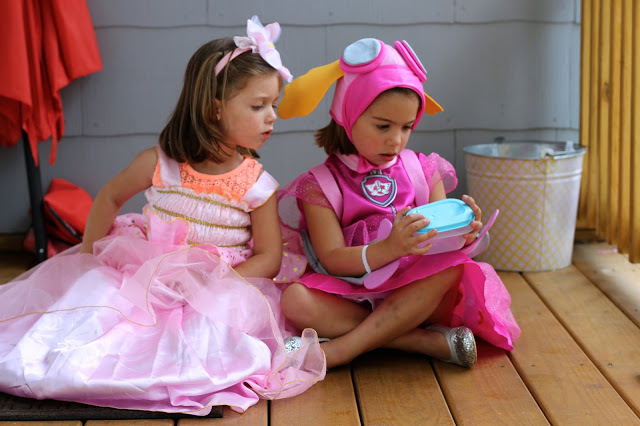 So today, we are excited to share more about the joy that can be found in simple costumes & bring a great giveaway today from one of our favorite costume shops, Costume Express. Costume Express has the best assortment of costumes all year long. 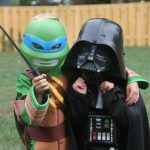 From your favorite movie characters to astronauts, they have everything you can imagine for your kids to play dress up. 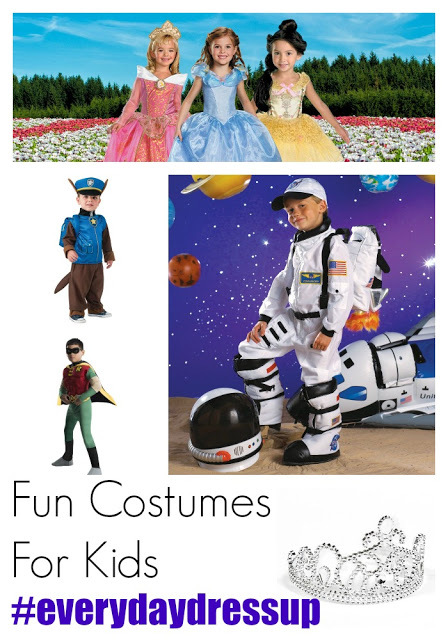 Their costumes are high quality at great prices. They always have awesome coupon codes to make the prices even better. Costume Express also has a cute ideas tab on their site. 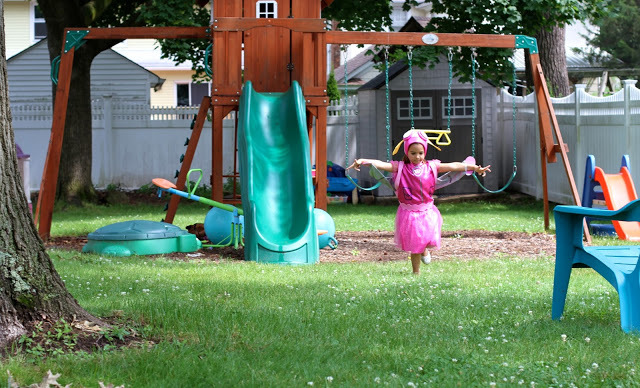 They provide fun ideas for year-round imaginative creative play. Andrew, my middle child, is known around town for his costumes. He wears his costumes everywhere. He likes to wear his fireman costume to the grocery store because that’s where firemen pick up donuts. He wears his Superman costume on our walk to pick up his brother from school, just in case anyone needs saving on the playground. And you will often find him riding the neighborhood sidewalks on his balance bike dressed as either Captain America, Batman, or Ironman. He wears costumes so frequently that we have had simple acquaintances from the school playground hand down their old costumes to us. Although he wears a variety of costumes, he really is our little “superhero”. He is always changing in and out of his superhero costumes, running around to save something in our house. He has been wearing his classic Superman costume for quite some time, but when he saw the Light Up Superman Man of Steel costume then he knew that would be the perfect new costume for him. He loves his new light up “S” which just makes him a little more “super”! Little Abby will do anything her brothers do. So when the boys put on dress-up clothes, Abby is bound to find something she wants to put on too. 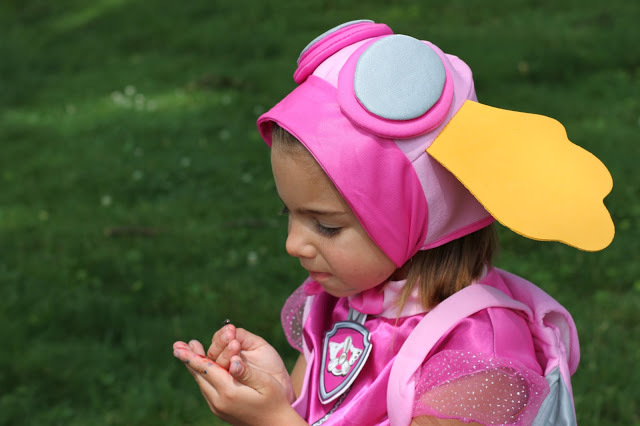 With two older brothers, she has a great variety of superheros, Ninja Turtles, fireman, & other fun costumes to pick from but when it was time to get her own costume, her brothers knew just what she needed. According to Aiden, she needed hew own Deluxe Elsa costume because every girl needs a princess dress. So when her brothers have been wearing their new superhero costumes this week, Abby runs over to put on her princess dress and join the fun. Let’s just say she is one cute princess superhero! My girls dress up everyday. Alex is always a queen, a princess or a “fancy lady”. She likes to accessorize and even asks to borrow my shoes. If a dress doesn’t seem “puffy enough” she layers multiple dresses until it looks just right. The Little Pink Princess costume from Costume Express is her current favorite. This costume has a hoop at the bottom, making the whole dress pop out perfectly. The first time Alex put it on and saw how “big the dress was” she was thrilled. She wears the little jacket when she is being a queen and takes it off when she is being a princess. The only thing better than watching her excitement as she dresses in costume, is hearing all the different voices she comes up with based on who she’s being that day. Maggie is always pretending to be an animal. Typically she is being a dog, cat or cheetah. When she is in the pool, she’s being a dolphin. She makes a lot of her own animal costumes and you can find her with a tail taped onto her pants quite often. She loves to pretend to be an animal that helps people and is always involved in some sort of rescue. Her favorite show is Paw Patrol and she loves all of the characters. She was beyond excited when she saw this Skye costume from Costume Express. Lately, she lives in it. She loves that she has “real dog ears” and runs around the yard helping to rescue Queen Alex. I love watching my girls dress up, play and pretend each day. Their imaginations are amazing. Now for the giveaway: One lucky winner will receive a $100 gift card to shop Costume Express. You can enter using the Rafflecopter below. 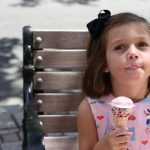 We’re excited to host this giveaway with 8 other awesome blogs! 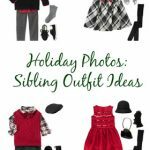 Be sure to visit their sites to see the fun ways their children dress up. By visiting all of the blogs, you’ll have a chance to see over 25 of the costumes currently available from Costume Express. 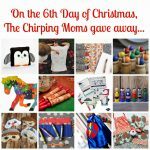 Monday Funday: Santa Paws 2 GIVEAWAY! I love the Wonder Woman costume! Spiderman and Minions look like a lot of fun! 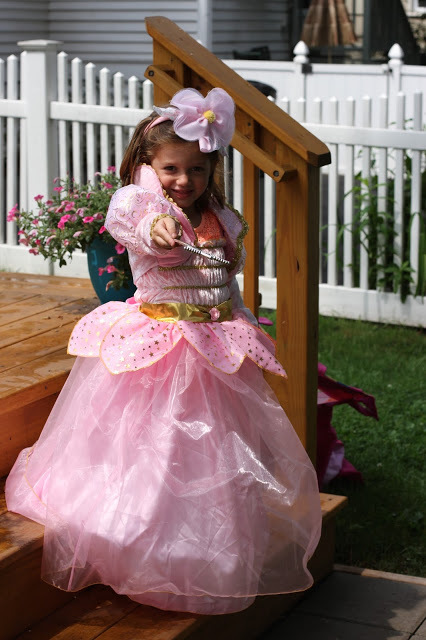 I love the Storybook Sleeping Beauty Aurora Prestige Child / Toddler Costume!